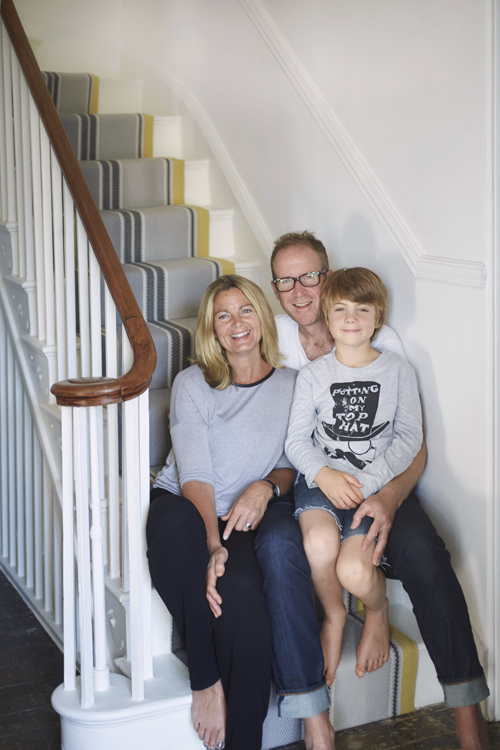 The Cornwell family have long been fans of Roger Oates products having used our runners in several of their previous homes. 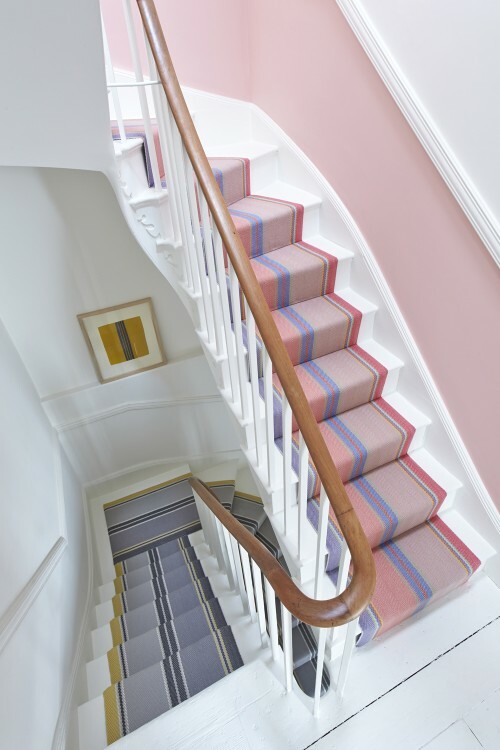 When they moved to their most recent home, a Regency property in Cheltenham, they decided to take full advantage of our bespoke service to ensure that they ended up with something unmistakably Roger Oates yet unique to them. 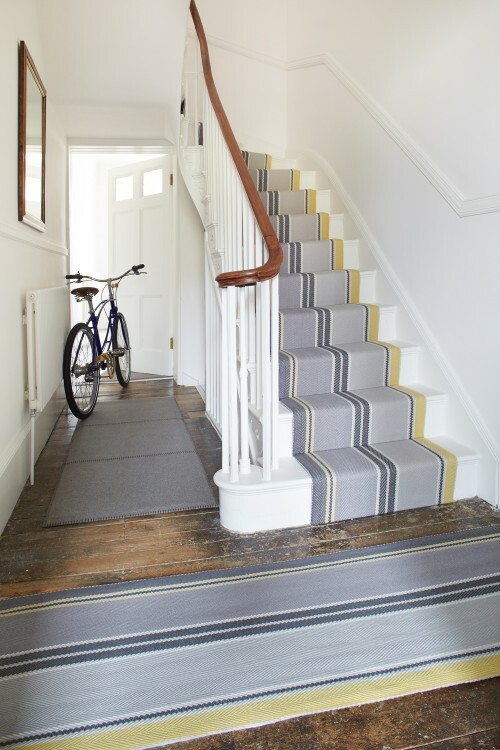 Recently renovated, their beautiful new home has been given the final finishing touches with runners and rugs from Roger Oates. The Cluny design, with it’s distinctive stripes, begins right at the front door of the property leading you in to the heart of the home. A loose runner laid in the entrance hall leads you to the first flight. The bespoke colouring of grey and yellow was created to complement the modern neutral interior decoration of the ground floor. 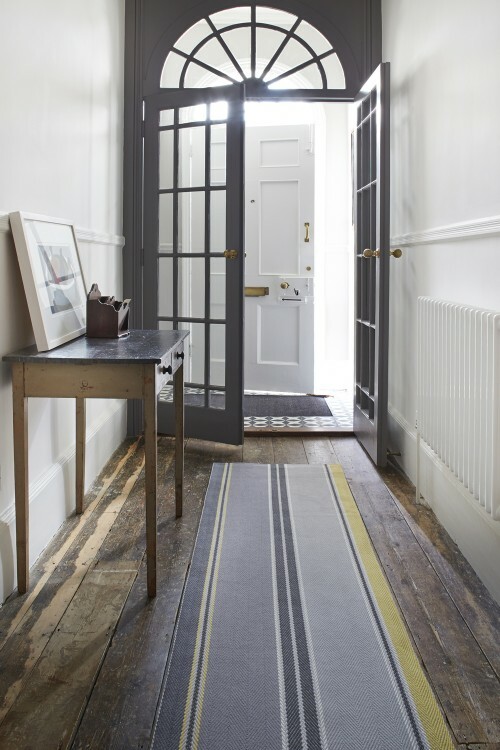 The grey Tapis rug from their previous property also tones with the runner, providing a different textured pathway along the rich brown original waxed floorboards directing you towards the rear of the house. The upstairs provides a little bit of the unexpected. The same design is used in a riot of colours leading up to the children’s bedrooms on the top floor. This is one of the most unique bespoke projects we have undertaken as rather than unifying the house the Cornwells have chosen to define the lower and upper flights as separate areas. 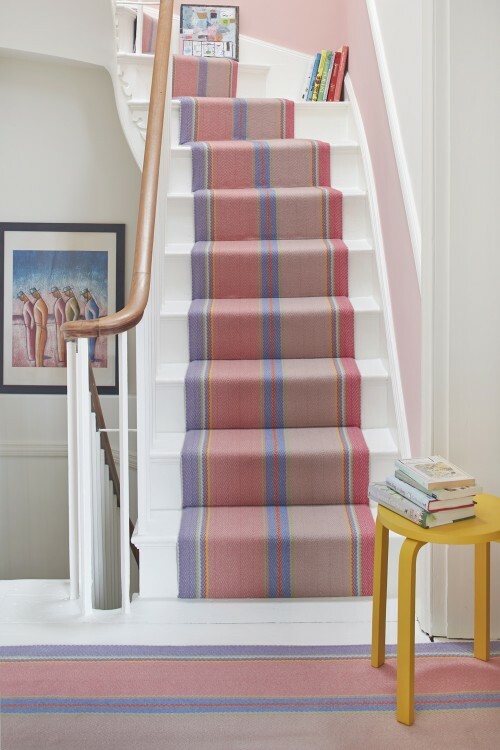 Hallway runners in the bespoke Cluny Pink lead off into the bedrooms. One of the pinks has been expertly matched with the pink of the walls, painted in ‘French Rose’ by Sanderson UK. 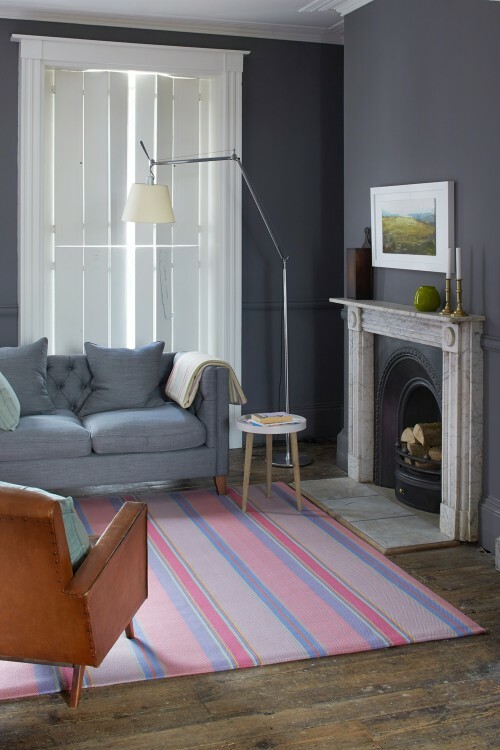 To bring a splash of the upstairs colour down to the ground floor living room, a flatweave rug has been created using the bespoke pink runner. The rug is all hand-sewn and has been deliberately sized to define the seating area around the fireplace. To find out more about Roger Oates Bespoke, please call a member of our sales team on 01531 632718 or 020 7351 2288. Please note minimum order quantities apply.